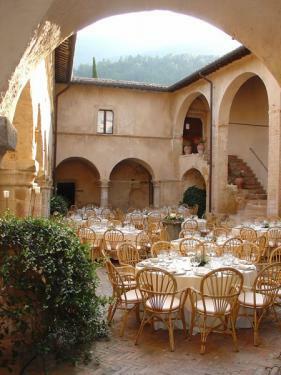 The Abbey San Pietro In valle is situated in Umbria, inside the National park of the Nera river. 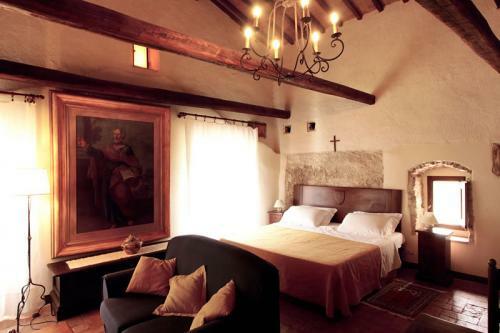 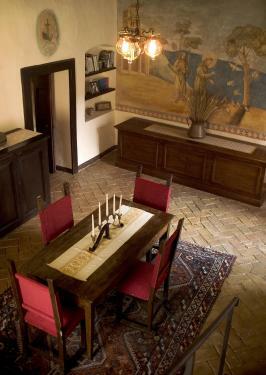 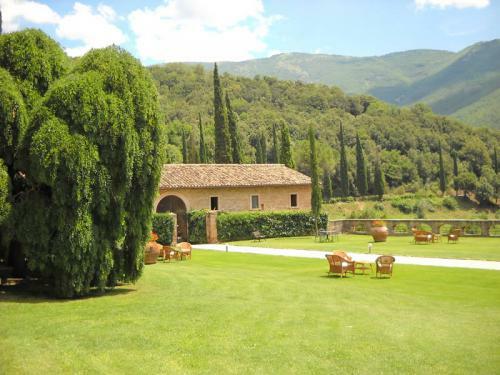 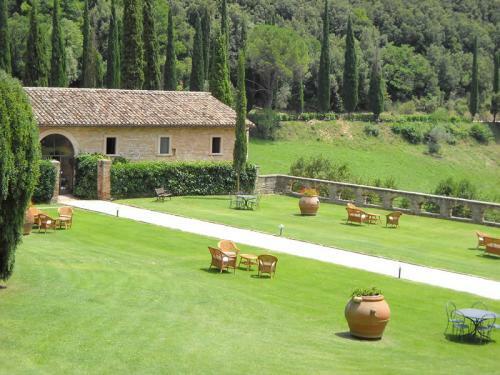 An ancient abbey with marvelous view on the valley, immersed in the nature and quietness of the Umbrian countryside. 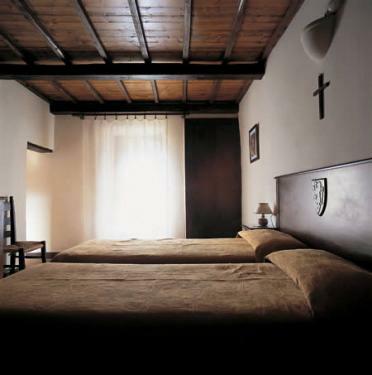 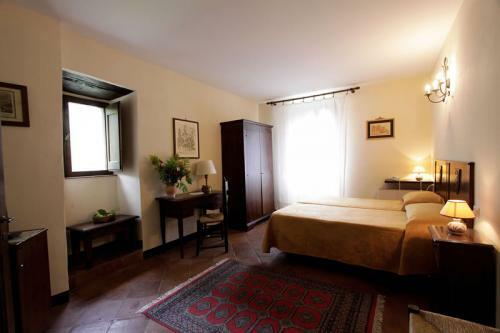 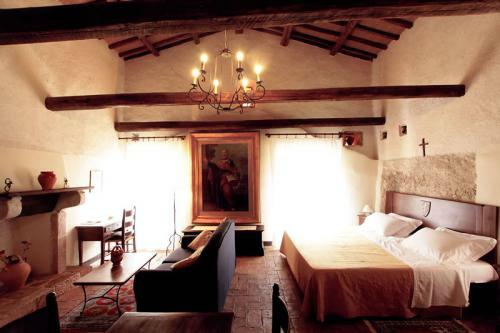 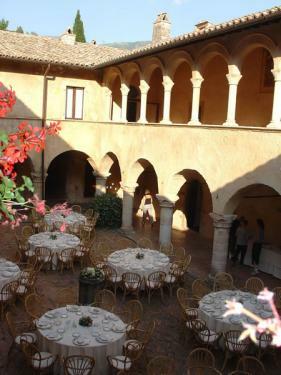 The Hotel began its activity in 1999, there are 20 rooms and a suite and most of them are around the romanic cloister area. 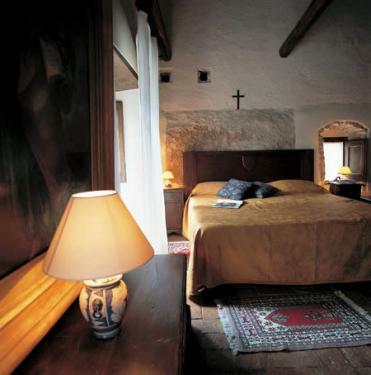 All the rooms have en suite bathrooms, TV sat, telephone, heating and air conditioning system and a minibar. 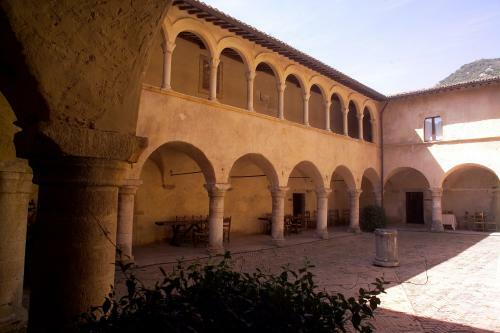 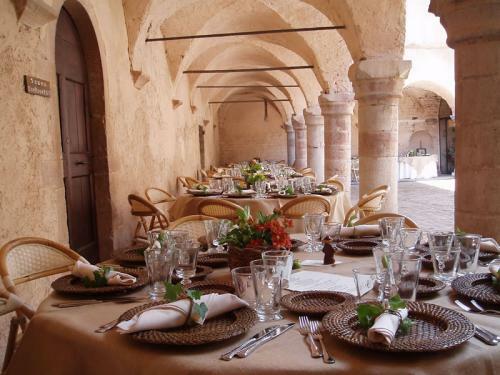 Every place inside the abbey has mantained its original charme with its characteristic features like floors in terracotta, huge stone walls and wooden ceilings. 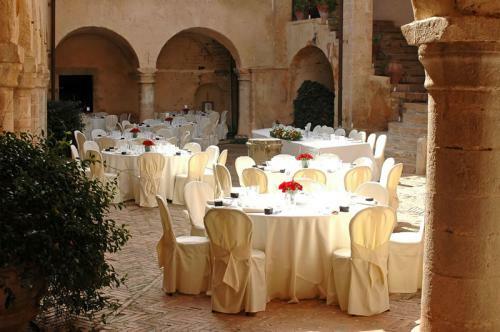 The same fascination is easy to notice in the common areas like the breakfast room, the meeting room and the restaurant. 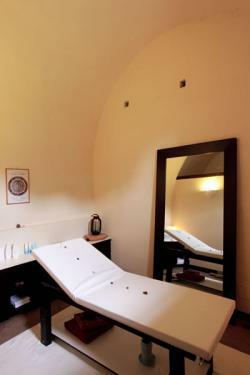 In the Abbey is possible to have access to the wellness area with chromoterapic sauna with 4 different emotional programs and hydro bath. 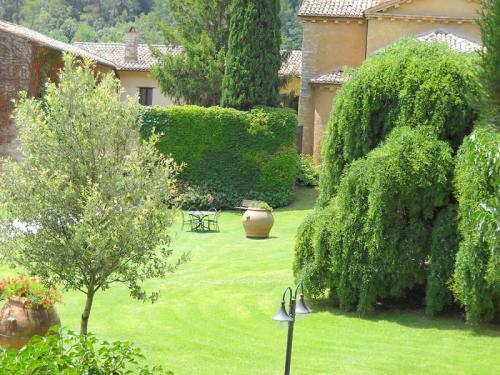 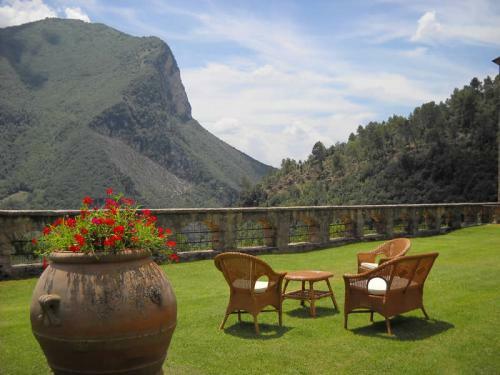 We cannot forget to mention the panoramic garden, probably the most admired place inside the walls of the Abbey. 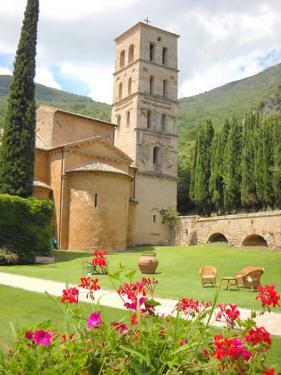 It is also possible to visit the wonderful church, recently restored. 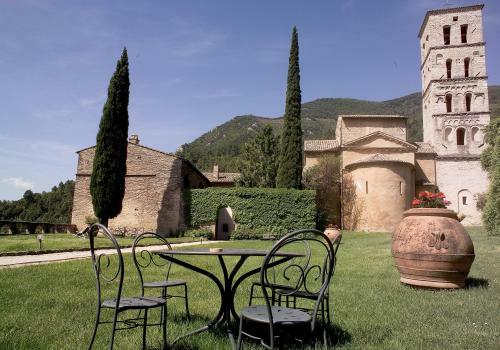 Here Art and History blend together with unspoiled nature and it is very easy to be captured by the magic atmosphere of the Abbey San Pietro in Valle.